GARAGE BEAT ! RHYTHM'N'BLUES ! 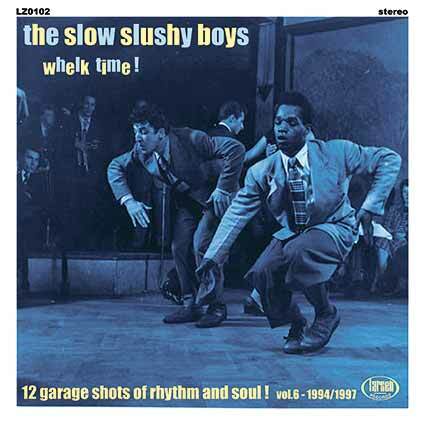 Après 2 albums (« Get Crazy » et « Pretty monter ») parus en 1990 et 1992 , les Slow Slushy Boys, avec un nouveau line up vont se plonger dans les sources du rhythm'n'blues et garage beat (Kinks, Lyres, Outsiders, Milkshakes, Downliner Sect...) Durant ces 4 années (1994 1997), ils sortiront 2 albums 25cm et 10 EP's (dont quatre en Italie). Vous trouverez dans cette compilation 12 titres issus de ces disques, introuvables depuis plus de deux décennies. 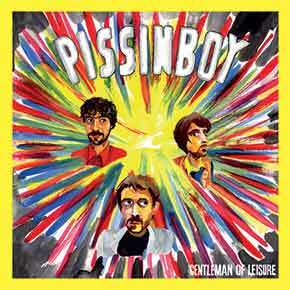 London-based trio Pissinboy is one of those unclassifiable bands that don't fit in any box and only feed from imagination and the joy of playing their 2nd LP *Gentleman of Leisure* proves it yet another time. Songs about East London's day-to-day life, existential matters, or simply love and dispair, make *Gentleman of Leisure *a journey through life's beauty and ugliness. A perfect long-player for your afternoon tea - or to accompany your first pint of the evening.